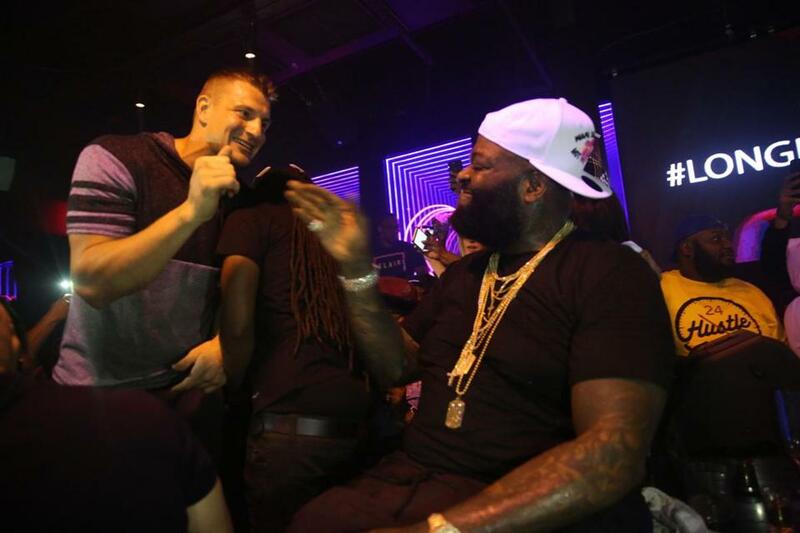 Rob Gronkowski and Rick Ross at the Rockwell in Miami. It’s clearly going to be a busy offseason for Rob Gronkowski. The Pats tight end was partying in Miami Beach over the weekend, hanging with his homies — and Rick Ross — at the Rockwell. Gronk was in the house to catch Ross’s performance at the club’s second anniversary party, and, yes, he felt compelled to take off his shirt while dancing.